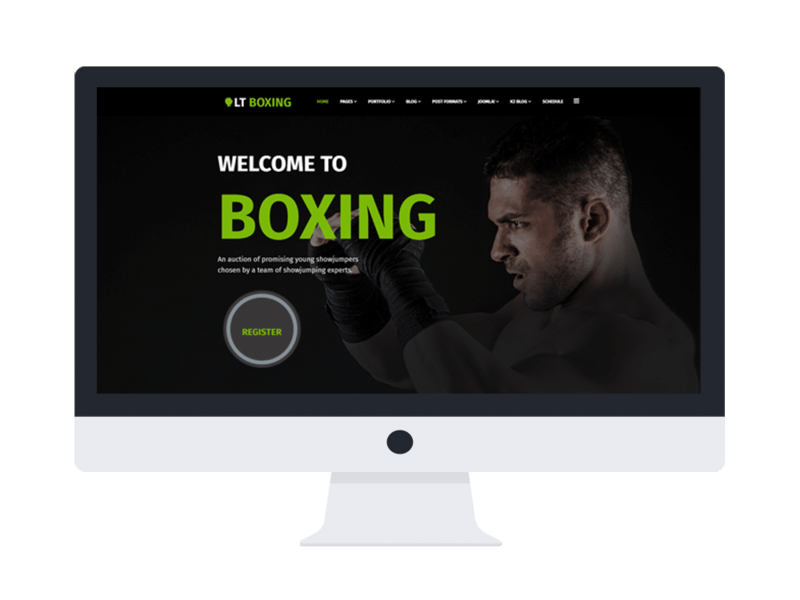 LT Boxing is a responsive Joomla template for professional kickboxers as well as kickboxing, fitness centers to promote themselves, sell relating items and advertise fitness packages/services. This Joomla Sport theme developed with professional and modern design, which is flexible for any of your site purposes. It gives you a good content organization with eye-catching looking, which makes it perfect to show everyone detail how your centers works as well as attract more potential customers. Using latest website technologies like Bootstrap CSS grid layout, strong shortcode to present content and Quix Page Builder for building layout, K2 extended style with much more amazing features for helping you create the site as the way you want conveniently and efficiently. Especially, this theme also integrates with JEvent with full options of creating a powerful calendar for promoting special events and making people get to know more about your sport centers. LT Boxing was designed to be matched with all interest of kick boxing fans, so they will be attracted right away when visiting your site. Besides, this theme also brings you the best user experience ever with fully responsive layout, support for all kinds of mobile devices. There are still more awesome features, let’s come and take a look now!